Current: Fundamental Dishonesty: To plead or not to plead, and what does it mean?Fundamental Dishonesty: To plead or not to plead, and what does it mean? Fundamental Dishonesty: To plead or not to plead, and what does it mean? The Court of Appeal has clarified the definition of “fundamental dishonesty” and offered guidance as to how fundamental dishonesty should be pleaded as part of a defence. Qualified one way costs shifting (QOCS) was introduced to allow a Claimant to avoid costs liabilities if their case fails as long as they have not been guilty of Fundamental Dishonesty. Dishonesty is fundamental if it goes to the root of the claim or a substantial part of the claim. Minor/trivial dishonesty relating to part of the claim is unlikely to be deemed “fundamental”. A Defendant does not have to specifically plead fundamental dishonesty within its Defence in order to argue the point at trial. In such cases a trial judge is not precluded from considering the issue. 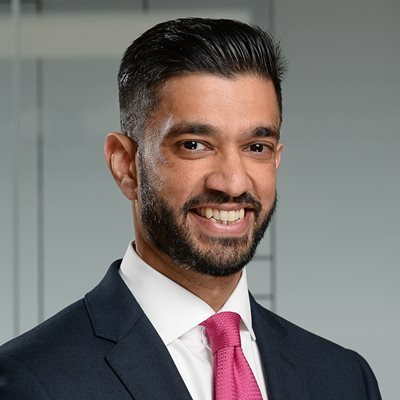 A successful Defendant arguing fundamental dishonesty is entitled to have QOCS protection removed from the Claimant even if the point was not raised or positively pleaded within the Defence. The Defendant should give the Claimant some indication if his or her credibility/honesty is likely to be challenged to avoid an argument by the Claimant that they have been ambushed by the point that could have been raised earlier. The Court of Appeal answers these questions in the landmark ruling in (1) Lorna Howlett (2) Justin Howlett v (1) Penelope Davies (2) Ageas Insurance Limited. Before we consider fundamental dishonesty it is important to remember that the principle was introduced as part of the Jackson Reforms and in particular to address the issue of civil litigation costs spiraling out of control and becoming disproportionate to the issues and/or value of the claims in dispute. Equally, Lord Justice Jackson wished to protect legitimate Claimants so that they could continue to have access to justice. The exception in question has caused controversy since its introduction and uncertainty amongst lawyers acting for both sides. In the present case before the Court of Appeal the Claimants, Lorna and Justin Howlett, pursued claims for damages for personal injury against Penelope Davies and their Insurer, Ageas. The incident in question involved an alleged road traffic accident which is said to have occurred on 27 March 2013. The Claimants alleged they were passengers involved in a collision where Ms Davies was the driver. Ageas had good reason to suspect the legitimacy of the claims. The Claimants and Ms Davies all had a dubious claims history which seemed more than coincidence. The claims were denied and the Claimants issued proceedings. In their Defence Ageas maintained a denial of liability and put the Claimants to strict proof. The position regarding fraud was reserved. However it should be noted that Ageas did not positively plead fraud/fundamental dishonesty within its Defence. At the beginning of the trial the Claimants applied to strike out the Defence on the basis that Ageas were more or less sitting on the fence. They were not positively pleading fraud but equally wanted to reserve their position on that issue. The court refused the application. In final submissions the Claimants argued that dishonesty was not pleaded nor were the Claimants cross-examined on the issue. According to the Claimants the court was not permitted to make any findings on the issue of dishonesty. Ageas submitted that the claims should be dismissed. It was further submitted (for the first time) that if the court was satisfied that the Claimants had sought to deceive the court, then they should lose costs protection under QOCS. At first instance, the court did not accept that an accident happened as alleged or that any injury was suffered as a result. The court also disagreed with the Claimants regarding the pleading of dishonesty. The court was of the view that Ageas had pleaded within its Defence, in the clearest possible terms that the Claimants had not been honest and that their evidence was questionable. The claims were dismissed with costs. The court held there had been dishonesty by the Claimants and such dishonesty was fundamental. The Claimants appealed on the basis that the trial judge should not have considered fundamental dishonesty as it was never pleaded as part of the Defence. The first appeal was rejected by His Honour Judge Blair QC. The issue was thereafter appealed to the Court of Appeal. Neither parties in the appeal disagreed with this definition and the Court of Appeal upheld HHJ Maloney QC’s approach. The Court of Appeal accepted that the Defence pleaded by Ageas clearly raised doubt over whether any accident occurred at all or whether any injury was suffered, the Claimants were put to strict proof and Ageas reserved its position with regard to fraud. While fraud was not positively pleaded, the Claimants were on notice of Ageas’ position and issues which were likely to arise at trial and the conclusions a judge may arrive at upon hearing oral evidence and cross examination. The Claimants could not say they were ambushed. It is well within the court’s power to make findings of fundamental dishonesty where findings are properly made based on the evidence before the court (including oral witness evidence). The Court of Appeal therefore dismissed the appeal on the basis that the court at first instance was entitled to find that the claims were fundamentally dishonest thus CPR 44.16(1) applied, these points were alluded to within the Defence and sufficiently explored during oral evidence. This is a welcomed decision from the Court of Appeal, which has now brought certainty to personal injury litigation involving fundamental dishonesty. Defendants can now understand the threshold they are to overcome to successfully argue fundamental dishonesty and how/when it can be raised as part of a Defence. Litigation is often unpredictable and matters can turn on oral evidence at trial. It is sensible and reasonable for fundamental dishonesty to remain an arguable point in cases where such dishonesty may not be evident from the early stages of a case. A trial judge should not be denied from arriving at such decision should he find a claim to have been fundamentally dishonest having considered oral evidence and assessed the credibility of witnesses.